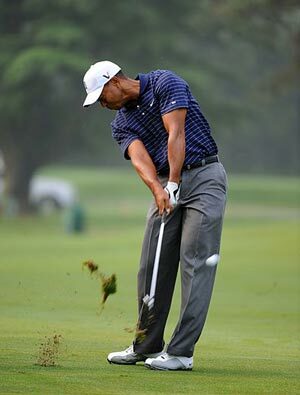 low hook requires a slight set-up change and a big-muscle swing, not a manipulation of the clubhead with the hands or wrists. Here's how I play it: First, I set up in a slightly closed stance and toe-in the club at address. Then, I aim my feet, hips and shoulders at the point where I want the ball to start and the clubface where I want it to finish. Finally, I simply swing along my foot line.